You use interactive notebooks, Socratic Seminars, Kagan Strategies, online testing, flashcards, foldables, and everything including the kitchen sink to make sure that your students have mastered the skills identified on the daily agenda. Now it’s time to let them create something. They have done the hard work of reading, re-reading, annotating, defending, and explaining War and Peace, Metamorphosis, and Wuthering Heights. Now what? You need them to prove to you that they recognize the themes, characterization methods, and other literary elements in the text. Do they really have to write a 500-word essay? Really?? Of course, they don’t need to publish 500 words – although it would be a smart move to have them write a response so that you can get the data you need. Have them publish relevant images instead. Students can easily create memes and gifs that depict main idea, mood, theme, characterization, etc. Barrack Obama’s presidency. Your scholars find a picture and insert talk / thought bubble text. Math formulas. Your mini-mathematicians can create memes that highlight formulas. Memes allow you to add commentary to images and gifs allow you to display several images that play automatically. Before letting them loose, be sure to give them directions. What do you want them to display? Their knowledge of …. main ideas, emotions, patterns, themes, historical observations, etc. We use the https://imgflip.com site because this site works at school. There are many free meme and gif makers but this one gets through our filters. The site has a large selection of pictures to choose from for meme making. A student could easily create memes and then turn them into gifs to share the collection. 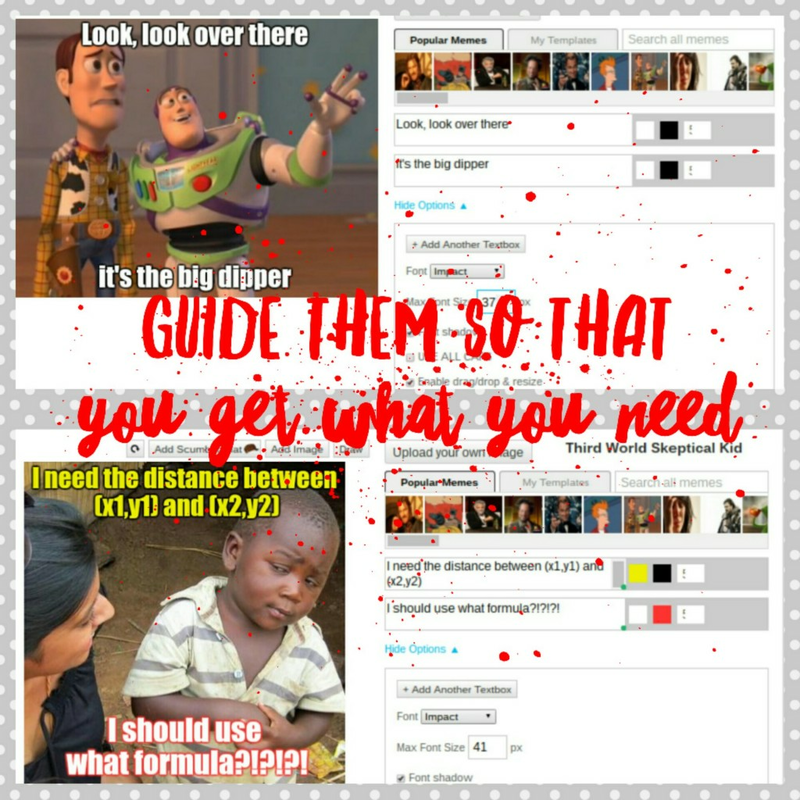 Memes and gifs can be used to introduce and support material and students can create them to display their knowledge. 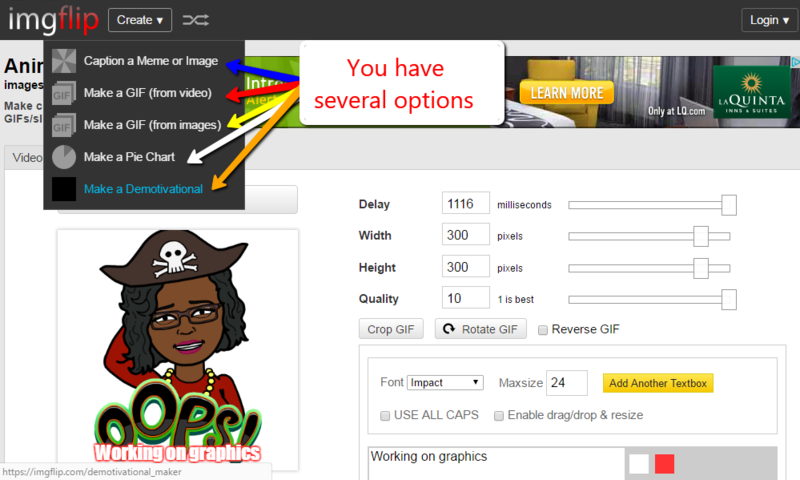 These links are for short how-to videos that show how easy it is to create memes and gifs. 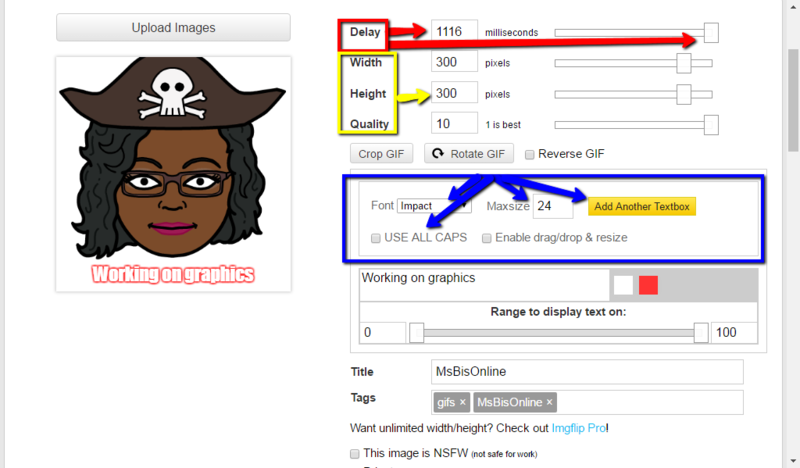 Imgflig allows you to change the font type and color to allow you to personalize the images. Try making memes and gifs for your class. Once I started creating them, I have not stopped yet. It is slightly addictive and you will find yourself making them for everything. C’mon… try them. They’re fun and easy to make and share. Posted on September 3, 2016 by Ms. B.. This entry was posted in Instructional Tools, Literacy Resources, My Class. Bookmark the permalink.